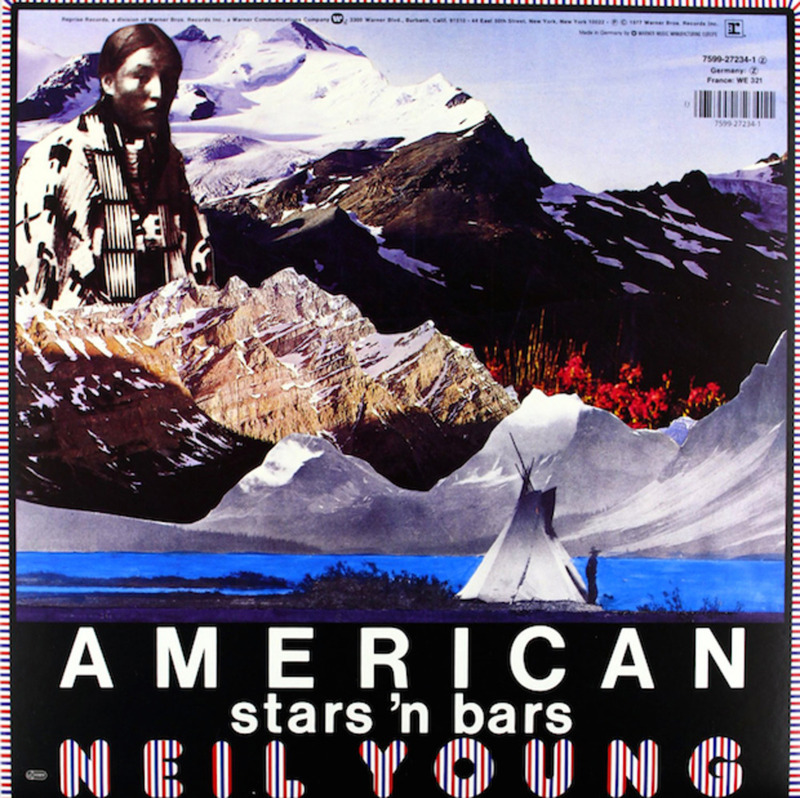 Psychedelic, chaotic and packed with hidden references to the tracks within, the artwork for Neil Young’s American Stars ‘n Bars by Dean Stockwell is an unsurpassable classic, argues fellow cover designer Lucas Donaud. 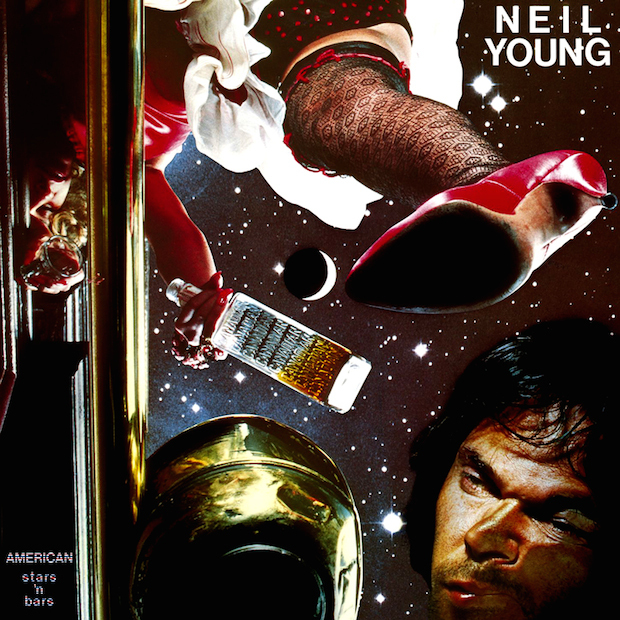 This cover for Neil Young’s American Stars ‘n Bars is probably one of my favourite pieces of album art. You can really tell that its designer, Dean Stockwell, was an actor and familiar with Hollywood movie aesthetics. Take a look at the unusual angle of the shot, the lighting effects and warm colours added to the dark sky background, for example. The resulting Mise-en-scène and the mix between photography and collage also perfectly express the feelings and poetry of the album. The text treatment is not perfect and, at times, it's even kind of awkward, which adds to the personality of the cover. It is said that the woman drunkenly leaning on the bar is Connie Moskos, the girlfriend of producer David Briggs, who worked on various Neil Young albums. This kind of anecdote, plus visual subtleties such as the repetition of ‘Canadian’ (Young's nationality) on the whisky bottle, contrast with the title and allow for multiple interpretations. To be honest the only negative point to mention is the collage at the back (pictured below). It just feels too different from the front and the whole theme of the album. I feel it partly undermines the strength and impact of the main artwork. It looks like the two collages were both created for the front and then the dismissed one ended up being used for the back. Overall, I think what makes the front cover one of my favourites is how the anarchic composition perfectly reflects the poetic profusion of feelings contained in the songs and its uneven and messy construction. …is a French designer living in London. Whether he’s working in collage or taking photographs, his album covers and posters have an experimental, psychedelic feel. He works predominantly for record labels and bands, including recent projects for Strange Hands and Jaw Gems. …started acting at a very young age, starring in Anchors Aweigh alongside Frank Sinatra and Gene Kelly. In the Sixties he joined the counter-culture movement, where he met musician Neil Young. Together, they directed the film Human Highway, an apocalypse comedy starring Stockwell, Dennis Hopper and, amusingly, the band Devo. The title track from Young's 1970 album After the Gold Rush is based on the title of a screenplay written by Stockwell. 1984 was an excellent year for the actor, who appeared in Wim Wenders’ Paris, Texas and David Lynch’s Dune. Children of the Seventies might better recognise Stockwell from Quantum Leap, where he played sardonic hologram Al.